Traveling in groups to Mexico can be a great way to take a family or organization trip. Whether you are interested in educational insights, language practice or public service, a caravan trip ensures safety and companionship throughout your trip. Similarly, the right Mexico insurance with MexicanInsuranceStore.com can provide you with enhanced security and peace of mind as you travel. You can explore Mexican auto insurance at MexicanInsuranceStore.com so that you can decide on the right features and limits in advance. Mexico insurance with MexicanInsuranceStore.com is needed in order for you to drive on Federal highways in Mexico. If you are traveling in private vehicles, it’s important to know that each vehicle needs its own Mexico insurance with MexicanInsuranceStore.com. However, multiple drivers can operate those vehicles. It’s important to remember to list those drivers after you generate your Mexican auto insurance at MexicanInsuranceStore.com. Each driver must be at least 21 years of age and possess a valid driver’s license. While you don’t have to be the owner of the vehicle to operate it, it is important that you have permission from the owner to drive the automobile in Mexico. If the owner won’t be traveling on the trip, then you should carry a letter of permission. 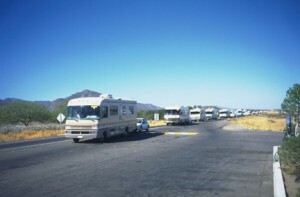 Some groups find that rental vehicles are appropriate for their coordinated travel. This is especially helpful for groups traveling from long distances to the border area. It’s important to work with a rental company that allows its vehicles to be taken into Mexico. You will still need to evaluate Mexican auto insurance at MexicanInsuranceStore.com. Mexico insurance with MexicanInsuranceStore.com coverage is important because you are still liable for any accidents while you are in Mexico. Take time to develop a plan for communicating with other members of your party as you travel. Although wireless calls are great for keeping in close contact, you need to be sure that your data and voice plans include foreign travel. This is also important for getting assistance in case of an emergency. Your Mexico insurance with MexicanInsuranceStore.com includes a roadside assistance enhancement that allows you to get help with flat tires and other emergencies if needed. Full coverage is important if you are taking a vehicle that isn’t your own on your trip. It is also important for those who don’t have the resources to make repairs or replacements with their own vehicles if an accident happens. There are many hazards besides vehicles in the country, making it important to be sure that you have enough Mexico insurance with MexicanInsuranceStore.com coverage. It is necessary for a driver to be under the age to drive legally while making plans for Mexico, law officials require solid proof and evidence to drive legally, get Mexican insurance for best support.